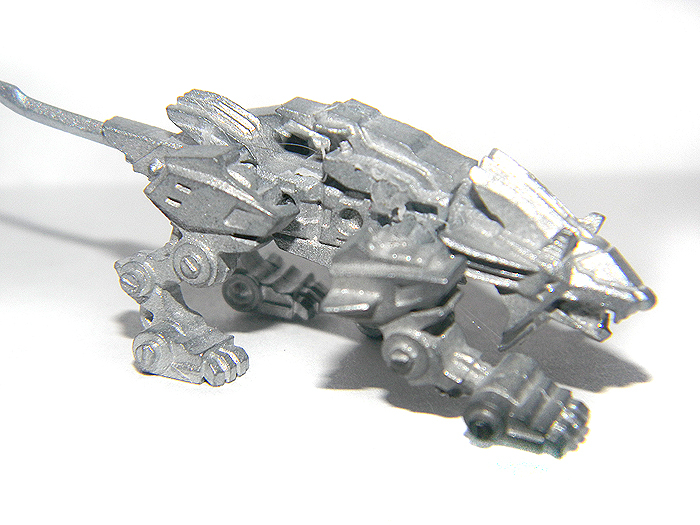 The Metal BLOX Zoids were released pretty regularly in Japan, but are a rare find on the US Market. 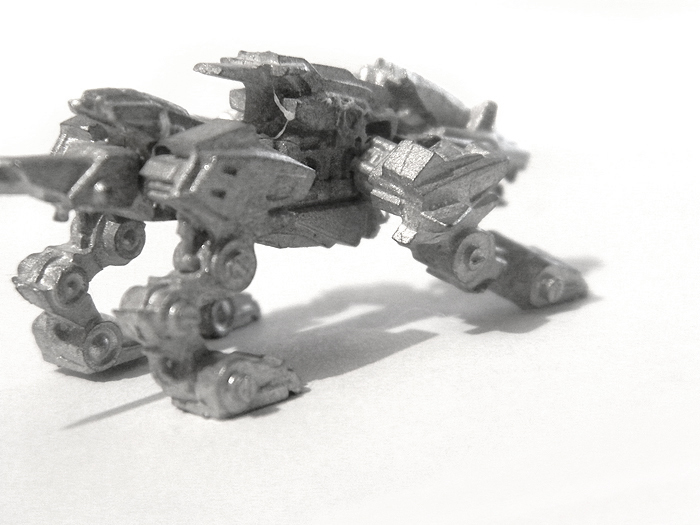 They were sold in boxes of roughly 20 pieces/Zoids per box, with a total of 6 to collect. 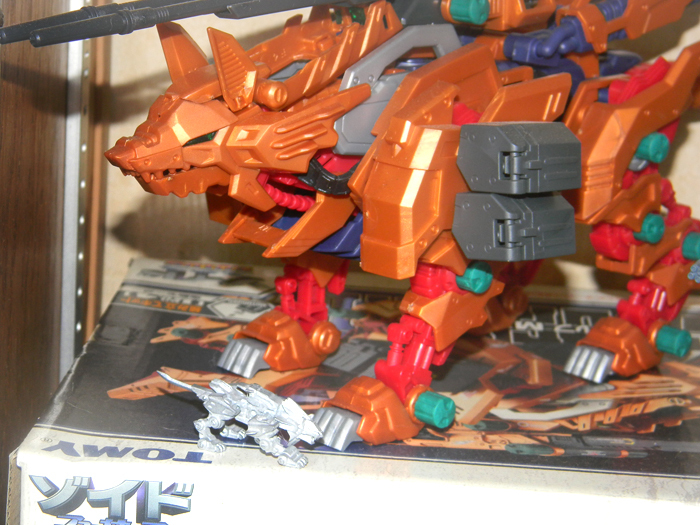 Unfortunately, there are not enough Zoids to make up the two rival teams. 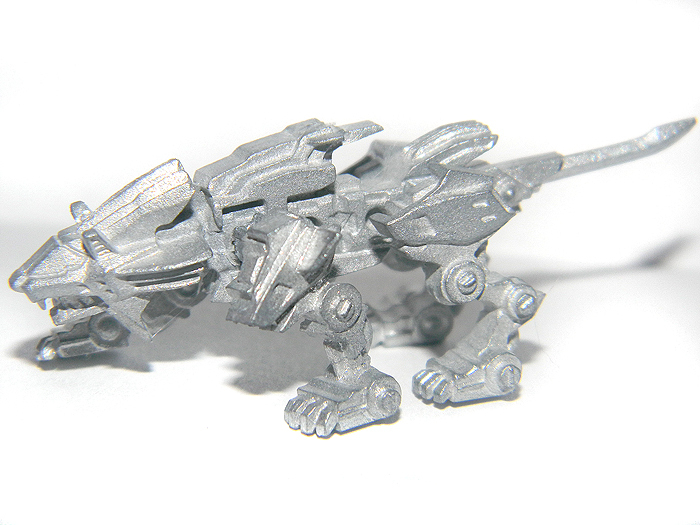 Namely the Chimera team is missing Zoids. While these are roughly gachapon size, and are indeed amazing figures, they do NOT stay together at all. As in, there isn't even a remote chance of them staying together. There is no traction what so ever. Because of this, they'll need to be glued if you want to display them. Leoblaze is, of course, the hero of our little team. He consists of five pieces. The main body/head/tail, and the four legs, which are separate. 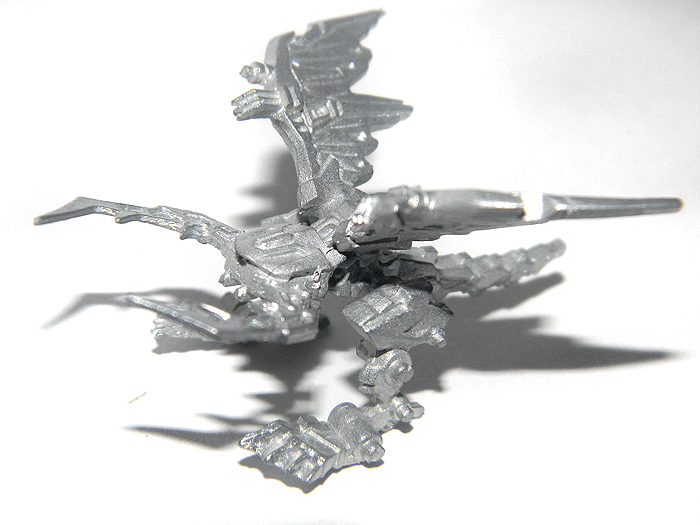 Unenlagia is second in our roster. Like Leoblaze, he contains just five pieces. The body/head/tail piece, the two arms, and the two legs. 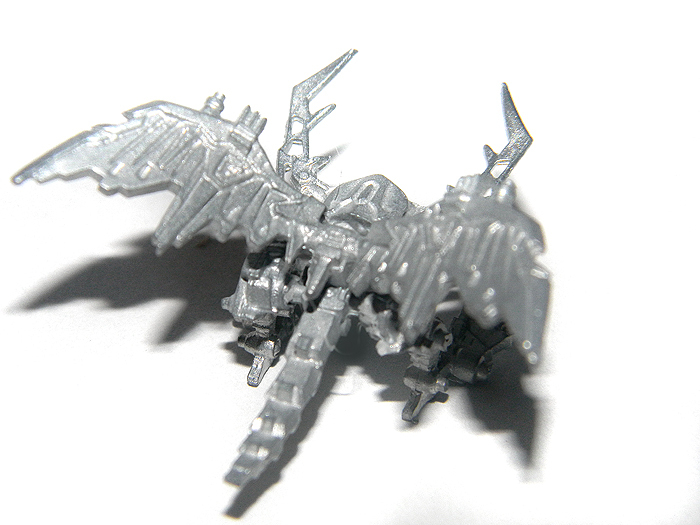 With slightly fewer pieces, Nightwise is the third Zoid to make up the Matrix Dragon team. 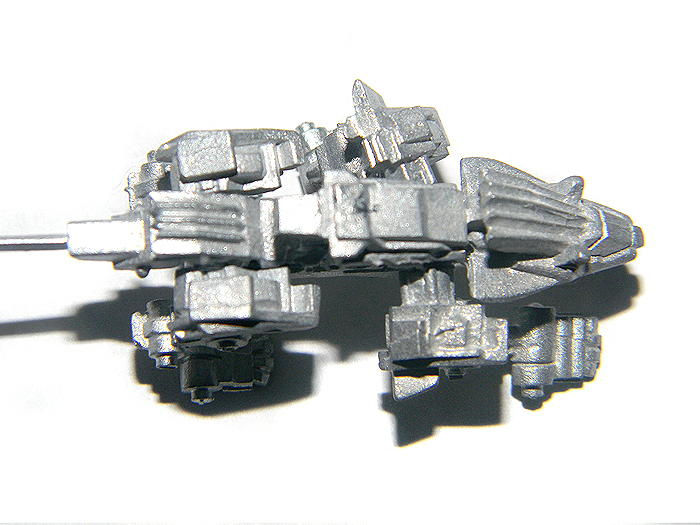 This small figure contains only four pieces. 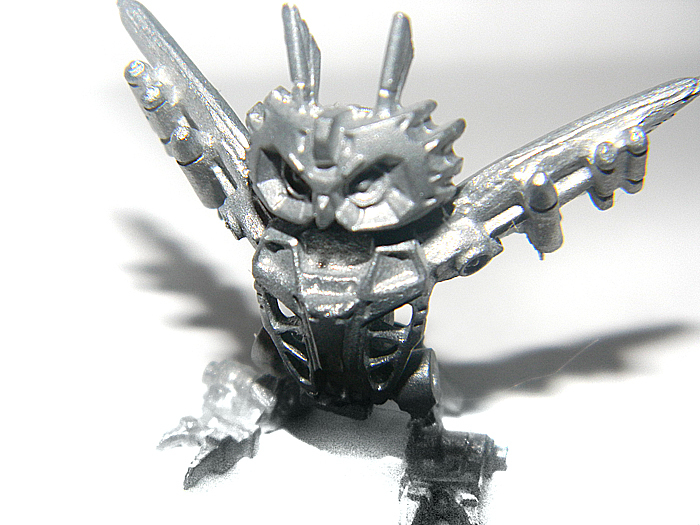 The head, the torso, the hips/legs, and the wings. Last but not least, Mosasledge makes up the final Matrix BLOX. 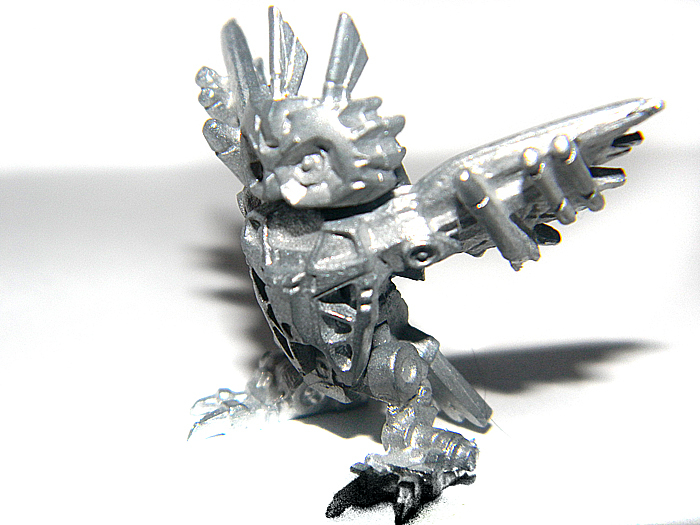 It has five pieces, in the same pattern as the other 'quadruped' Zoids. The main body piece also contains the head and the tail, and then you have the four fins. Fly Scissors. 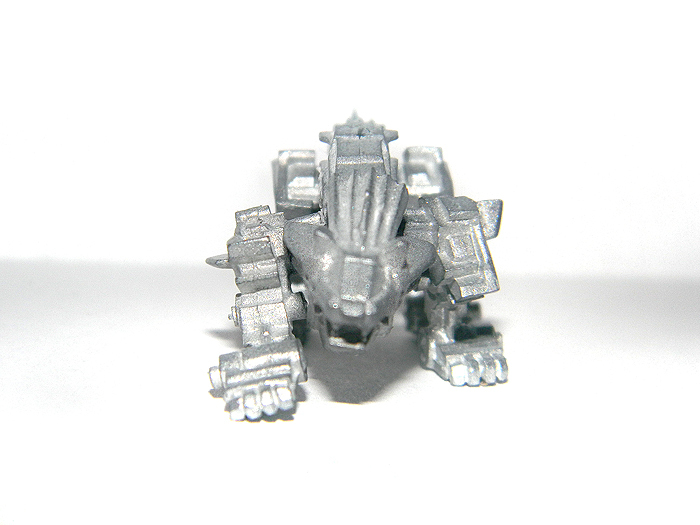 This is one of just two Chimera BLOX that made it into the metal cast. This one gets a little complicated. 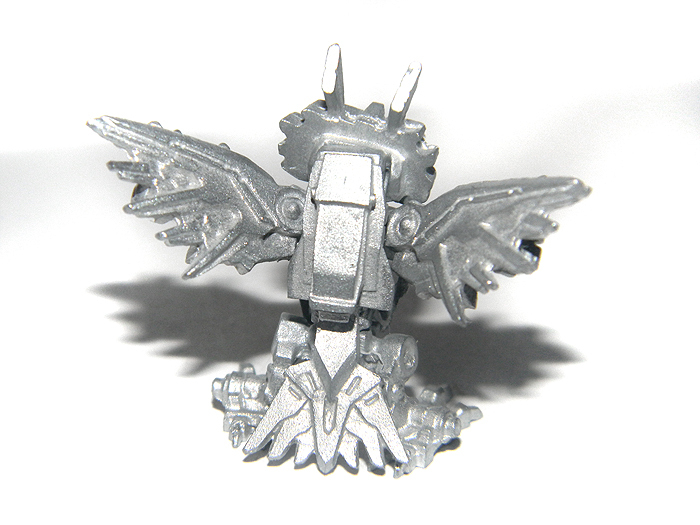 Because it balances on just two legs, there's a lot more attention required in gluing the Zoid together, or else it won't stand up. The figure contains four pieces. 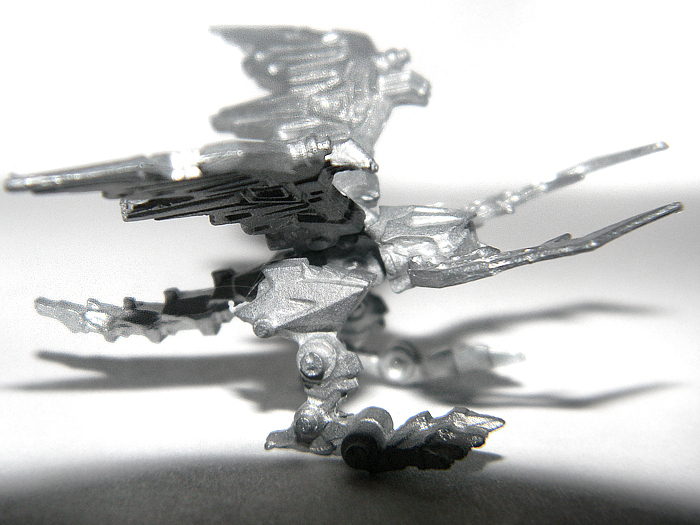 The main body, head, and tail piece, the wings, and then the two legs. 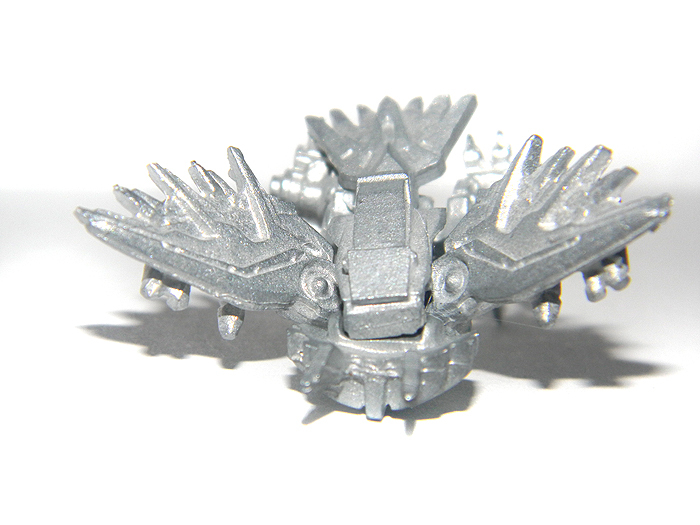 Shellkarn is the only other BLOX to be cast in metal, out of the Chimera team. 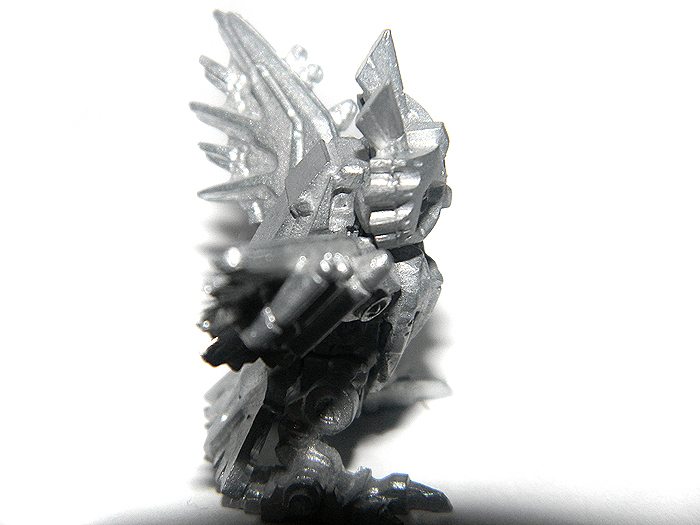 This unique figure is somewhat strange. I was a bit confused by the anatomy, not owning the BLOX version of the model kit, and so it appears that one of the arms is meant to be glued in a raised position? They do not both set evenly on the ground. There are four pieces; the two arms, the body, and the head.